Government policy intervened in the 1920s with the aim of further consolidating the dairy market. The number of individual creameries was reduced to 17 large-scale facilities in the years following World War II. At the same time, the number of cooperatives in Ireland had shrunk back to fewer than 220. Butter remained the Irish dairy industry's core product, accounting for the majority of the creameries' production. The members of five co-operatives agreed to join forces and become Waterford Co-operative Society Limited in 1964. The formation of Waterford Co-operative in 1964 was the first of the major amalgamations and it was the beginning of a story that would be repeated throughout Ireland over the next 40 years. The size of the co-operative gave them the opportunity to produce a bigger range of products. With its head start, Waterford was able to grow and a decade later, in 1974, this scale of operation would help in winning the French Yoplait franchise to produce the prestige range of yogurts at Inch, County Wexford – an association that continues to this day. Waterford continued growing throughout the 1970s, amalgamating with a number of other, smaller creameries. Ballyhale Co-Operative Creamery Dairy Society Ltd.
Callan Co-op Creamery and Dairy Society Ltd.
Castlehale Co-Operative Dairy Society Ltd.
Dungarvan Co Waterford Co-Operative Creamery Ltd.
Glenmore, County Kilkenny Co-Operative Creamery Ltd.
Graiguecullen, County Carlow Corn & Coal Co. Ltd.
Kells, County Kilkenny Co-Operative Agricultural & Dairy Society Ltd.
Kilmanagh, County Kilkenny Co-Operative Creamery Ltd.
Kilkenny City Co-Operative Creamery Ltd.
Leinster Milk Producers Association Ltd.
Loughcullen County Kilkenny Co-Operative Creamery Ltd.
Knockavendagh & Moyglass Killenaule Co-Operative Creamery Society Ltd.
Muckalee County Kilkenny Co-Operative Dairy Society Ltd.
Mullinavat Co-Operative Creamery Society Ltd.
Shelbourne Co-Operative Agriculture Society Ltd.
Windgap Co-Operative Dairy Society Ltd. Backed by the British dairy giant Unigate, the new federation began the construction of a new multi-purpose dairy plant in Ballyragget, County Kilkenny. The plant was the biggest processing facility in Europe at that time. Today, the Ballyragget facility is the largest integrated dairy site in Europe, processing about 20% of the Irish milk pool. Avonmore originally focused on the production of butter and powdered skim milk. On 1 September 1973, 20 societies amalgamated, thus creating Avonmore Farmers Ltd. As time moved on, Unigate’s involvement changed and, in 1978, the cooperative bought back Unigate's stake in the Ballyragget facility. Both Avonmore and Waterford expanded into the 1980s. At home, both companies established brand names, while Waterford continued with its Yoplait franchise. The two co-operatives continued to add product lines. Avonmore, for example, launched Avonmore Fresh Milk on the Dublin market on 1 June 1981. The two companies, Avonmore and Waterford, went public in the 1980s. Avonmore went first, becoming Avonmore Foods plc on 6 September 1988. Waterford Foods plc was launched on the Irish Stock Exchange (ISEQ) on 6 October 1988. Both groups remained majority controlled by the dairy farmers that had formed the original co-operatives. With new access to capital, both companies embarked on a programme of expansion. Avonmore’s strategy included growing the dairy business in the UK and US. They also decided to grow the business through acquisition. Over the next nine years they made 28 acquisitions in Ireland, the UK, the US, Hungary, Germany and Belgium. The major developments were in the UK with liquid milk and mozzarella cheese and in the US with cheese production in Wisconsin, Illinois and Idaho. In the years following flotation, Avonmore also invested in the meat business in Ireland. In 1989, the year after the establishment of Waterford Foods plc, the Group bought Galloway West in the US heartland dairying state of Wisconsin. The company manufactured cheese, condensed milk and food ingredients. Later in the year, Waterford bought A.Heald Limited of Manchester, a company that operated in the liquid milk and fruit juice business. Waterford also expanded in Ireland with the move into the prized Dublin milk market. In 1995, Waterford bought The Cheese Company, one of the two largest cheese manufacturers in Great Britain. Both organisations were focused on similar growth strategies at home and overseas. Speculation was, therefore, rife as to a possible merger between the two dairy giants. The talks began in 1991. However, the two sides were unable to reach an agreement at that particular time. Waterford's expansion came at a cost however, and the group struggled to maintain profitability in the mid-1990s. By 1997, after Waterford posted a profit warning, the group once again found itself in merger talks with Avonmore. On 13 April 1997, Waterford confirmed in a media statement that it had received a formal approach from Avonmore Foods plc and Avonmore Creameries Limited and advised that the Waterford Board was considering this approach. The prize for a successful merger would be significant: an Irish-based, world-scale food company. This proposed coming together would represent the biggest amalgamation in the history of the Irish dairy industry and possibly of Irish agribusiness. Intensive dialogue took place between Avonmore and Waterford throughout April and May 1997. On 26 May, the Boards of Waterford Foods plc and Waterford Co-operative Society met to consider amended proposals from Avonmore Foods plc and Avonmore Creameries Ltd. The merger proposals provoked serious debates at numerous shareholder meetings throughout Waterford and Avonmore. Some shareholders had strong reservations and among their concerns were issues such as perceived loss of identity, dominance by one party over another, relative valuations of the two organisations, size and scale of the new entity, representation and weakening of farmer control. However, the overwhelming majority of shareholders believed that the merger was the right option for both organisations. The result of the 1997 Avonmore Waterford merger was to create the fourth biggest dairy processor in Europe and the fourth biggest cheese producer in the world. Consequently, the Avonmore Waterford Group announced a reorganisation programme, following a post-merger business review. The target was to increase the Group's competitiveness. The Group strategy was to concentrate food ingredients activities in large-scale facilities in Ireland and the US. In the US, the development strategy was to focus on the Avonmore West operation in Idaho which benefited from scale, location in an expanding milk field. Following the completion of a US$20 million investment programme, Avonmore West was a global supplier of advanced dairy food and nutritional ingredients. 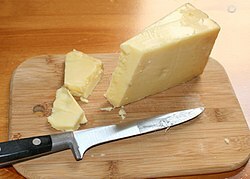 As a direct result, the decision was taken to dispose of the smaller cheese business in Wisconsin. In Ireland, food ingredients activities were to be located mainly at Ballyragget and Virginia. Within the consumer food business, liquid milk operations were to be located at Ballytore, Waterford and Drogheda. These decisions resulted in the closure of smaller facilities. In the UK, the Group closed its Appleby cheese facility and also disposed of the Manchester-based juice business during 1997. The cost-saving measures targeted to save £20 million in 1998 and £40 million in 1999. It was anticipated that the programme would reduce jobs in AWG from 11,900 to 10,600. Job losses would be 750 in Ireland and 550 in the UK. By May 1999, the reorganisation programme, announced in November 1997, was virtually complete. The Ballyragget site had been enhanced to accommodate the additional milk volumes. In the US, the Group was investing US$36 million in Idaho to increase cheese production by 30 per cent and dairy-based food ingredients production by 22 per cent. On 1 June 1999, the Group announced two important strategic sales. The first was the disposal of the UK liquid milk operations to Express Dairies, for £125 million. The second was the sale of its Irish beef processing operations to Dawn Meats for £10 million. On 15 February 1999, an Extraordinary General Meeting and Special General Meeting were held to seek the necessary approval for the introduction of a new name. The change of title from Avonmore Waterford Group to Glanbia became official on 4 March 1999. The name Glanbia has its roots in the Irish language – Glanbia means "pure food" in Irish. On 11 August 2000, Glanbia announced a joint venture with Leprino Foods. Leprino was the world’s largest producer of mozzarella cheese. [ citation needed] As part of the joint venture, Leprino took a 49 per cent interest in Glanbia Cheese UK and granted exclusive use of Leprino’s patented technology to Glanbia. Leprino paid £27.50m in cash, delivered in 11 suitcases, for the 49 per cent share of the business. International joint ventures became a key element of the group's growth strategy. Consequently, in October 2003, Glanbia and PZ Cussons plc announced a €20 million joint venture to build a new factory in Nigeria to supply evaporated milk and milk powders to the Nigerian market. The name selected for the new joint venture company was Nutricima. Glanbia entered into yet another joint venture, this time with the Great Southwest Agency in New Mexico, US. Building commenced at Southwest Cheese in January 2004 and the official opening of Southwest Cheese took place in 2006. After establishing the group's Nutritionals business in January 2003, Glanbia acquired German-based Kortus Food Ingredients Services (KFIS) in 2004 – thus marking the Group’s first nutritionals acquisition. KFIS specialises in the production, research and development of micronutrient premixes. The purchase increased Glanbia’s product range and brought further access to markets in Germany and Central Europe. On 6 September 2006, Glanbia announced the acquisition of the California-based micronutrient premix business, Seltzer Companies Inc. The acquisition of Seltzer was a logical addition to the previously acquired KFIS. Both businesses have since changed their names to Glanbia Nutritionals. In 2007, Glanbia further expanded their micronutrient premix business with the completion of a new premix plant in Suzhou, China. As part of its international expansion, Glanbia also acquired Canadian nutritionals business Pizzey's Milling in August 2007. Pizzey's, which mills flaxseed, created a way into the North American omega-3 market. On 25 November 2012 Glanbia disposed of 60% of its Irish dairy processing business to Glanbia Co-Operative Society Limited (the "Society"). As a result, the Irish dairy processing business, now called Glanbia Ingredients Ireland Limited ("GIIL")became an associate of Glanbia plc. On 18 May 2017 Glanbia Co-operative Society shareholders attended a Special General Meeting in the Punchestown Event Centre to vote on the creation of Glanbia Ireland, a joint venture between Glanbia Co-op (60%) and Glanbia plc(40%) combining Glanbia Consumer Products, Agribusiness and Glanbia Ingredients Ireland. The proposal was approved by 93.1% of Glanbia Co-op Shareholders. The creation of Glanbia Ireland was also approved by Glanbia plc's Independent Shareholders at an Extraordinary General Meeting (EGM) on the 22nd May 2017.
a. ^ The name is derived from the Irish words glan (pronounced [ɡl̪ˠan̪ˠ], "clean"/"pure") and bia ( [bʲiə], "food"). However it is not grammatical Irish; the correct translation of "pure food" is bia glan. ^ "Glanbia.com". www.glanbia.com. Glanbia plc. Retrieved 23 May 2017. ^ "Glanbia- Our Global Footprint". Glanbia Plc. ^ Paul, Mark. "Glanbia beefs up nutritionals division". Irish Times. Irish Times. Retrieved 23 May 2017. ^ O'Hora, Ailis. "Glanbia acquires sports nutrition specialist Isopure for $153m". The Irish Times. Irish Independent. Retrieved 23 May 2017. ^ "Glanbia completes $217m acquisition of thinkThin". Irish Times.com. Irish Times. Retrieved 23 May 2017. ^ "Glanbia plc announces acquisition of Amazing Grass and Body & Fit". Wholefoods Magazine. Wholefoods Magazine. Retrieved 23 May 2017. ^ Vaughan, MaryAnn (18 May 2017). "Glanbia Ireland gets the green light at Special General Meeting today". KCLR FM.com. KCLRFM.com. Retrieved 23 May 2017. ^ Friemann, Gretchen (22 May 2017). "Final hurdle in Glanbia's efforts to offload dairy unit takes place today". Irish Independent. Independent News and Media. Retrieved 23 May 2017. ^ "Glanbia plc Corporate Website". Glanbia.com. Glanbia plc. Retrieved 23 May 2017. ^ "Glanbia Performance Nutrition". Glanbia.com. Glanbia plc. Retrieved 23 May 2017. ^ "Glanbia plc announces it has signed binding legal agreements to sell 60% of Dairy Ireland". Glanbia.com. Glanbia plc. Retrieved 23 May 2017.